I haven’t been taken by a book so instantly as seeing this on the shelf at Whitcoulls. 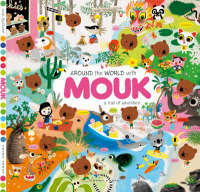 Gorgeous!Around the world with Mouk : a trail of adventure / Marc Boutavant ; [translated by Linda Burgess]. And was utterly captivated on a cold Sunday listening to an interview with Nicky Wire of the Manic Street Preachers on the essential The Guardian Music Weekly – plus the full interview as an extra. Miss New Zealand – High heels, high hopes. Highly entertaining look behind the scenes of this rather antiquated competition. Would make a most excellent reality show.